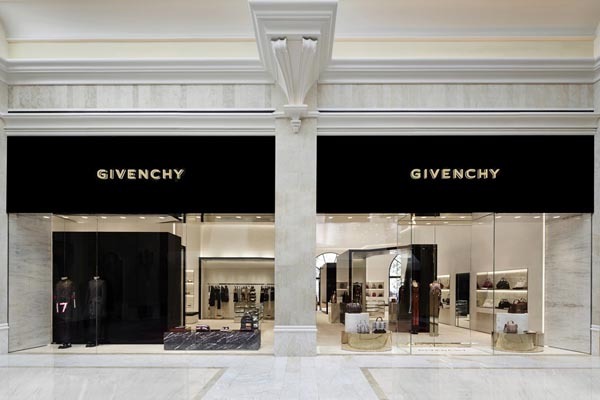 Givenchy's U.S. Retail Expansion Starts in Las Vegas, 3,100-square-foot store at the Wynn Resort Promenade is the first step in the houseâ€™s North American retail strategy. In his nine-year tenure at Givenchy, Riccardo Tisci has built the brand into a highly influential fashion powerhouse. And yet the label had no retail presence of its own in the U.S. recently until Wednesday, when Givenchy opened a 3,100-square-foot store at the Wynn Resort Promenade in Las Vegas. The store is the first step in the house’s North American retail strategy. “This opening constitutes a major milestone for Givenchy as it is our maison’s first store in North America,” said Sebastian Suhl, Givenchy’s chief executive officer. “The United States is a strategic market for Givenchy and we shall roll out retail units in other key cities during 2014.” Givenchy has taken a site for a New York store on Madison Avenue, which it plans to open this year. Its previous store on Madison Avenue closed in 2008. The Las Vegas store’s design echoes that of the Faubourg Saint-Honoré flagship, evoking the elegance and dark romance that have become house signatures under Tisci. Ready-to-wear is displayed in large boxes done in lacquered wood and natural oak parquet, a nod to the boxes used to deliver Givenchy haute couture orders, and the floors of the couture salons on Avenue George V in Paris. The entrance is done entirely in American marble, and accessories are presented in marble wall niches and white lacquered console tables lined in stainless steel. The Las Vegas store opened with the spring men’s and women’s ready-to-wear collections, as well as men’s and women’s accessories and footwear. Additionally, three limited-edition small Shark Chain bags, in red crocodile skin with red nappa lining, lambskin leather and pale gold hardware will be sold exclusively in the Las Vegas store.